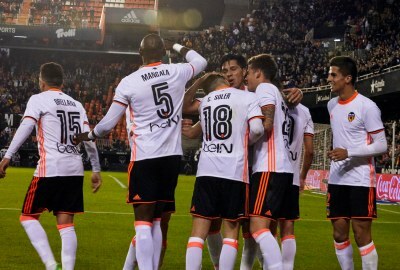 Spanish La Liga club Valencia C.F. has partnered with Fanatics, the global leader for licensed sports merchandise, to operate the club’s new official online store. The store shop.valenciacf.com now provides Valencia’s global fan base with three language choices (Spanish, English and French) and multiple currency options for ease of purchase in local territories. A Chinese version is planned for later in the year. The deal also allows for Fanatics Branded, the company’s in-house apparel division, to create custom fan gear collections and provide a greater assortment of merchandise options. Fanatics’ unique e-commerce platform offers delivery to 188 countries worldwide and the opportunity for fans to purchase in more than seven local currencies, including Australian Dollar, Japanese Yuan and Korean Won. Head of Fanatics International, Ed Boardman said: “Valencia C.F.’s loyal fan base deserves the best possible shopping experience and customer service while selecting from the widest assortment of merchandise available. Valencia CF Director of Marketing, Damia Vidagany: “Joining forces with Fanatics, the leading company in the management of online stores at an international level, will give us the possibility to offer Valencia CF products to all Valencianistas in all parts of the world, in a more agile fashion and with high quality service.